We are looking for energetic, friendly and dynamic team members to show Londoners that we are all about eating and feeling happy! Please see our positions available below. There are part-time and full-time positions available, starting at 20 hours a week up to 48 hours at one of our three existing locations in King’s Cross, Fitzrovia and Islington or one of our 3 new stores opening later in 2019. This is a great opportunity to join one of London’s Best Cafes and Coffee Shops awarded by TimeOut. 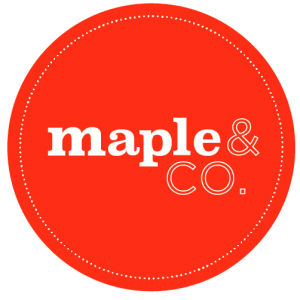 We are looking for a Manager with a great eye for detail to work weekday and weekend shifts (but no late evening shifts) at our Maple & Co. locations. This is a full-time position. We require staff to be available minimum for 5 shifts per week, totalling approximately 40 hours per week up to 48 hours. You will be given a lot of autonomy to manage your team by scheduling their rotas, managing orders and being our Maple brand ambassador in front your shop’s customers. Ownership of the unit, taking full responsibility for all induction, training, ordering. All HACCP reporting, compliance and training. COSHH management, rota development. Reporting directly to the assistant ops manager on issues that involve the business. Ensuring every guest, every time is served in an welcoming, friendly and efficient manner, with your team. Friendly, energetic, responsible, proactive and willing to learn. We are looking for takeaway counter service assistants and coffee baristas to start working with us immediately! There are part-time and full-time positions available, starting at 20 hours a week at one of our three locations in King’s Cross, Fitzrovia and Islington. An interest in healthy food is a plus!